Each semester, a group of UAB students comes together to stand firm against social injustice. “Stand” may be a misnomer, however. Because this group is UAB Rangeela, Alabama’s first competitive Bollywood fusion dance team. The Hindi word “rangeela,” which translates loosely in English to “colorful,” describes Birmingham’s diversity, says Parita Sutaria, president of the coed organization. “We reflect the colors of the city, which is full of different people with different stories.” She adds that dance offers a way to share those stories that are difficult, such as experiences with domestic violence or homelessness. “Dance can help cross barriers and express emotions from tough situations many of us face—often alone. 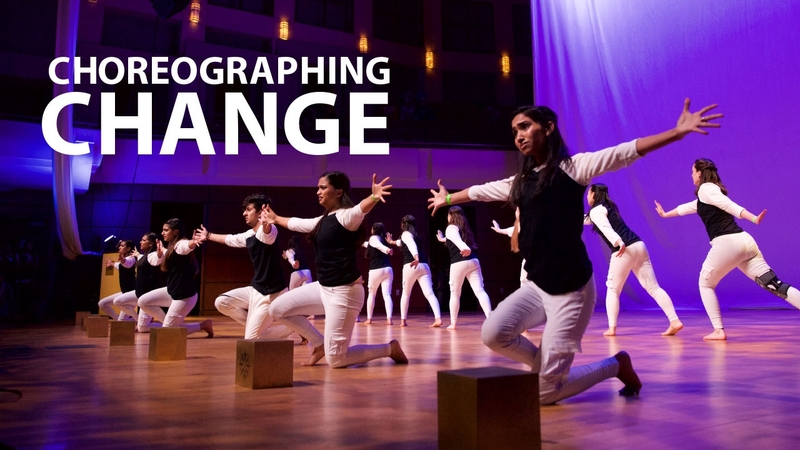 We hope our dances raise awareness about social issues to make a difference in the world.” Since its 2015 founding, Rangeela has entertained and enlightened audiences both regionally and nationally. In April, it won first place at the Aag Ki Raat competition in South Carolina. But Rangeela welcomes every UAB undergraduate and graduate student—not just those of Indian heritage, Sutaria explains. “Our members represent a number of different cultures,” Sutaria says. “The group’s diversity allows us to tell our stories better.” Last year, the team, an official UAB Campus Recreation club sport, included 24 students. Rangeela selects new members each semester following tryouts in which participants learn and perform a routine for a review committee. In weekly practices, Rangeela members create and refine their Bollywood fusion choreography. The traditional Bollywood style features dancers wearing elaborate, colorful costumes who use dramatic facial expressions and precise hand and foot movements to tell a story, often a romantic one. But Bollywood fusion allows dancers to blend other, more modern influences into their routines. Rangeela’s seven-minute performances may include video and spoken audio clips along with music and dance. Developing the messages behind the moves takes the team into the community. In spring 2017, for example, the group got firsthand accounts from homeless men and women and met leaders of local organizations serving the homeless in order to develop the performance focusing on their plight. The research was crucial for telling a powerful, authentic story, Sutaria says. “We want our dances to have an impact on our audiences,” adds Karan Jani, a team captain from Pelham, Alabama, earning coordinated master’s degrees in business administration and public health. He recalls a previous performance with a “see something, say something” theme that challenged the audience to respond to tough situations—like bullying—that they might spot or even experience themselves. Another dance helped viewers see through stereotypes associated with bipolar disorder. “Our hope is that people leave our performances wanting to play a more active role in society,” Jani says. (Above, at top, and in video) Rangeela shares stories of homelessness through its performance at Taste of India, a dance event at UAB's Alys Stephens Performing Arts Center in April. • Learn more about Rangeela and UAB Campus Recreation. • Give something and change everything for students looking for a diverse, vibrant college experience.